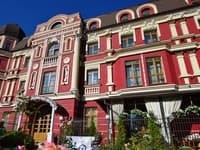 The apartment is located on the left bank of Dnepr, near the metro station “Levoberezhnaya". 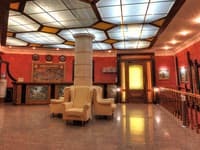 The International Exhibition Center, lots of restaurants, cafes and supermarkets are situated near the apartment. The apartment is equipped with all necessary furniture and appliances. Free Wi-Fi is avaliable. There is a beautiful park with access to the river. Distance from the train station is 11 km, from the airport Borispol - 29.6 km. 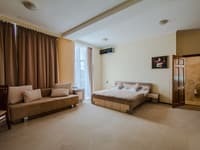 Description of the room: Two-bedroom apartment near the metro station Levoberezhnaya. There are all necessary furniture and household appliances. A 10-minute walk from the International Exhibition Center (International Exhibition Center), TC Komod. Accommodation is possible only on the main places. 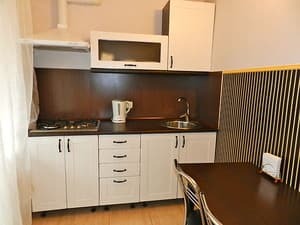 There is a fully equipped kitchen for cooking. 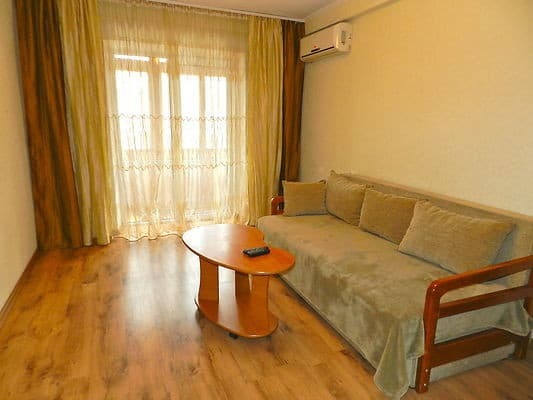 The apartment is located on the left bank of Dnepr, near the metro station “Levoberezhnaya". There is a beautiful park with access to the river. Distance from the train station is 11 km, from the airport Borispol - 29.6 km. The most convenient way to get on the subway.